Saturday, August 11th 11am-4pm: Join us for lunch at the Greenfield Sendik’s store! Please plan to join us for lunch on Saturday, August 11th between 11am – 4pm. 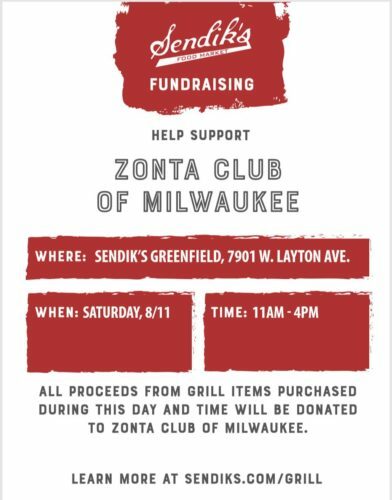 All all proceeds from grill items purchased during this day and time will be donated to the Zonta Club of Milwaukee. Thank you for your support! !